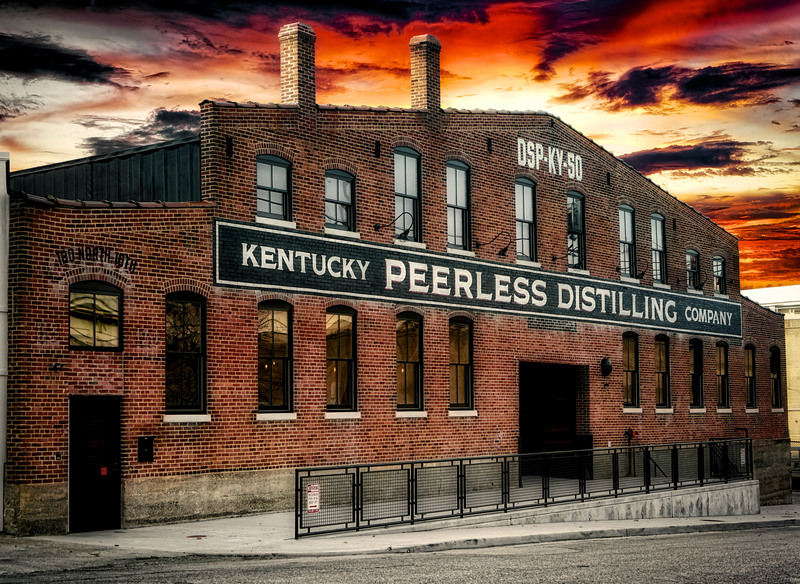 Peerless Timeline - Peerless Distilling Co.
Our story begins in Henderson Co. Kentucky. For Henry Kraver, the man that shaped the Peerless legacy, roots run into the 1800s through the river city of Henderson, Kentucky. 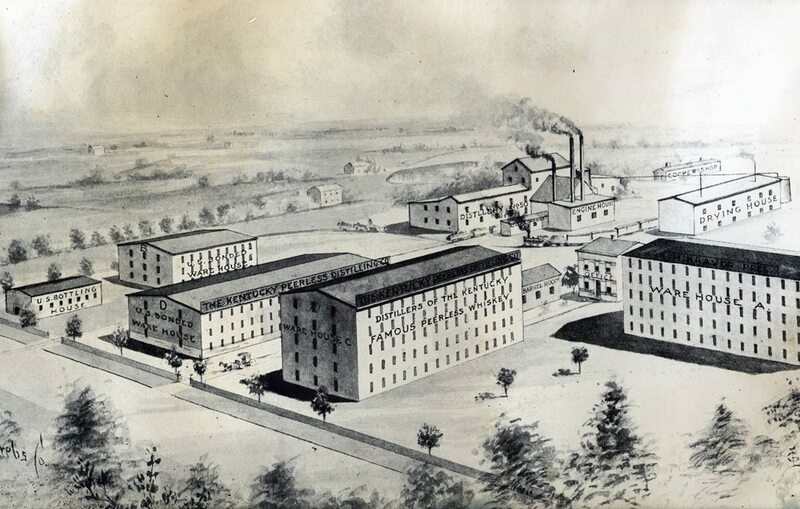 The first distilleries emerge in Henderson during the 1860-70s, with the likes of D.R. Burbank Distillery and Oakland Distillery. Both eventually succumb to the elements-fire destroying the former, river erosion sweeping away the latter. In 1879, the L&N train line is completed, connecting the town of Henderson with larger cities such as Louisville & St. Louis. Industries of Henderson begin to flourish, including tobacco, buggy manufacturing and good ol’ whiskey. In the Summer of 1881, business associates Elijah W. Worsham and Capt. J.B. Johnston combine to build the Henderson distillery E.W. 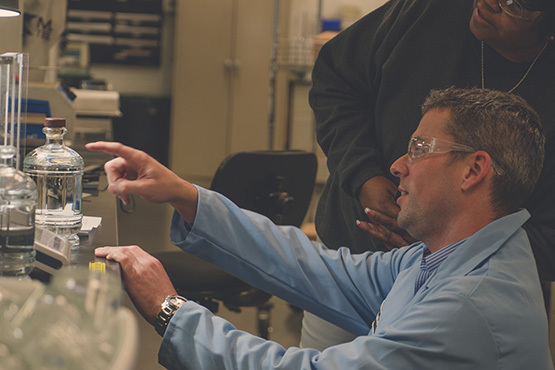 Worsham & Co. Operations begin that same Winter, producing the first Peerless whiskey. Worsham is producing between 300-400 barrels of Peerless per year at its peak in the 1880s. In 1885, a 26-year old Henry H. Kraver finds his way to Henderson, Kentucky and begins work at the Mann Brothers department store. Recognizing a determination and dedication in Henry, the owners of the shop invest in his future. 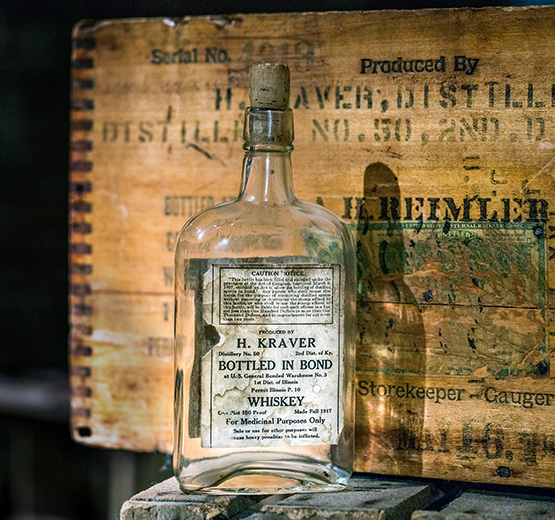 With their assistance, Henry Kraver owns a saloon and is building the Kraver tobacco house by 1888. During this same time, E.W. Worsham Distilling isn't able to keep steady, and eventually death catches Elijah Worsham. E.W. Worsham Distilling is then sold to Henry Kraver in the year 1889. Kraver wastes no time making upgrades to the machinery and invests in additional warehouses. These warehouses prove to be even more valuable when they become U.S. 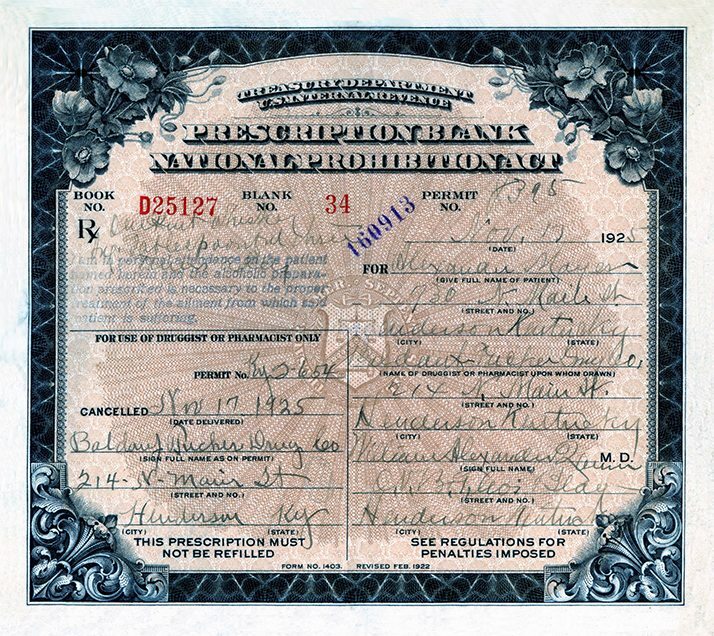 Federally Bonded following the Bottled-in-Bond Act of 1897. Production of Peerless whiskey rises from 8 to 200 barrels per week. 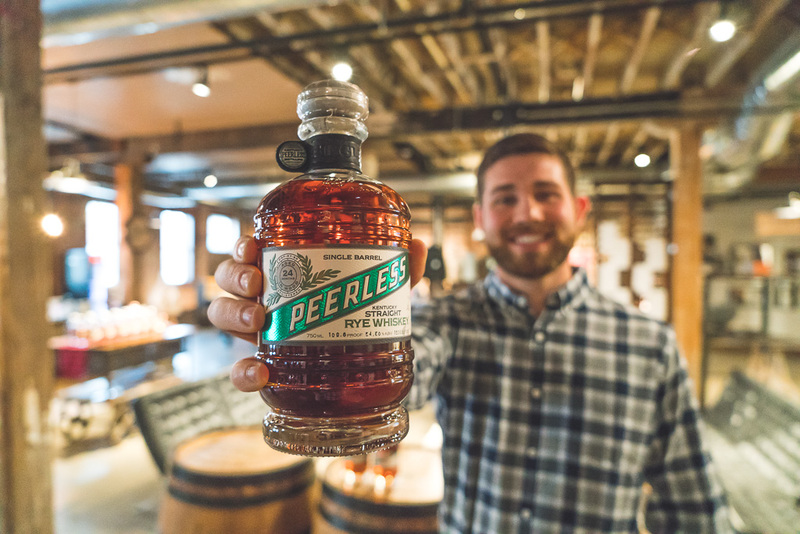 As the wholesale market expands to Chicago and St. Louis, production of Peerless liquor becomes substantial and reliable through the early 1900s. 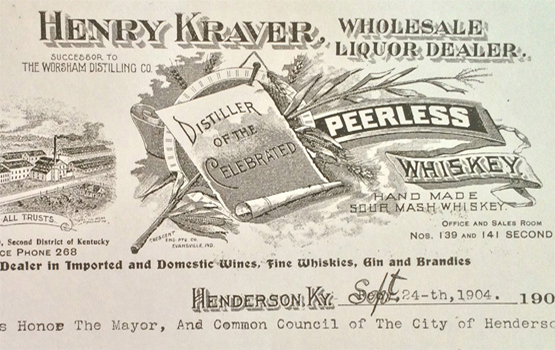 Kraver is still operating under the auspices of Worsham Distilling Co. until 1907, when he incorporates as The Kentucky Peerless Distilling Company. Initial capital stock is $100,000. 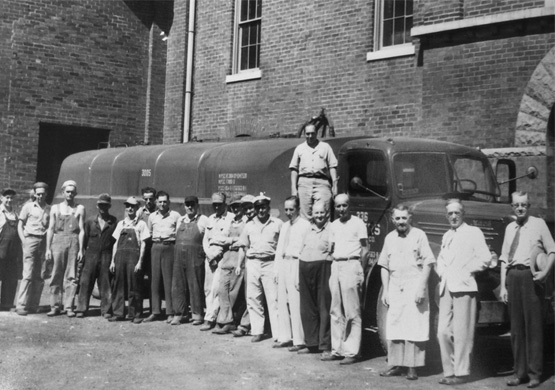 By 1913, Kentucky Peerless Distilling Co. employs nearly 50 workers and is producing 10,000 barrels per year. 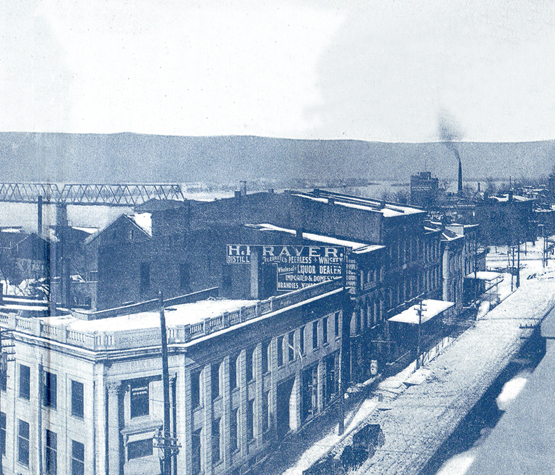 Kraver continues to make a number of investments in Henderson, including purchasing the Henderson Brewing Company, positioned on the bank of the Ohio River. Kraver makes quick work of increasing production & service. By 1917, the Kentucky Peerless Distilling Co. is running at peak production making 200 barrels per week, more than 23,000 barrels a year, with 63,000 barrels in storage. Along with other distilleries, Henry Kraver ceases production to aid in the conservation of corn for the war effort. During this same time the 18th Amendment is passed and Prohibition begins. The famous Peerless whiskey is officially out of production for the first time since 1881. August 1917 The Lever Food and Fuel Act is passed by the dry forces in Congress which prohibits the wartime use of grain for the production of beverage alcohol. Kraver stops producing alcohol. 1925 Mr. Sherman is hired to dismantle a shuttered Henderson, Kentucky distillery (Kentucky Peerless) and re-erect it in Vancouver, British Columbia where he moved with his family for six months. 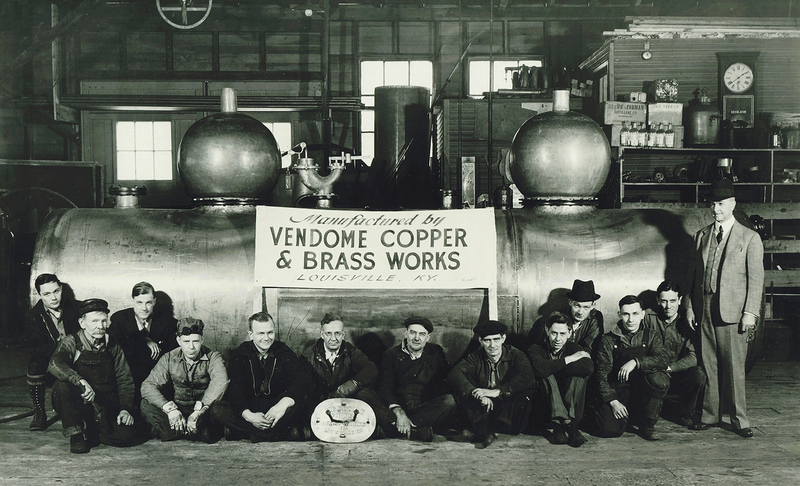 Note: Vendome existed before prohibition, however lost their business due to prohibition. Mr. Sherman later reopened sometime after 1927. During the early 1920s, the Peerless federally-bonded warehouses are used for whiskey storage under armed protection of the U.S. Government. 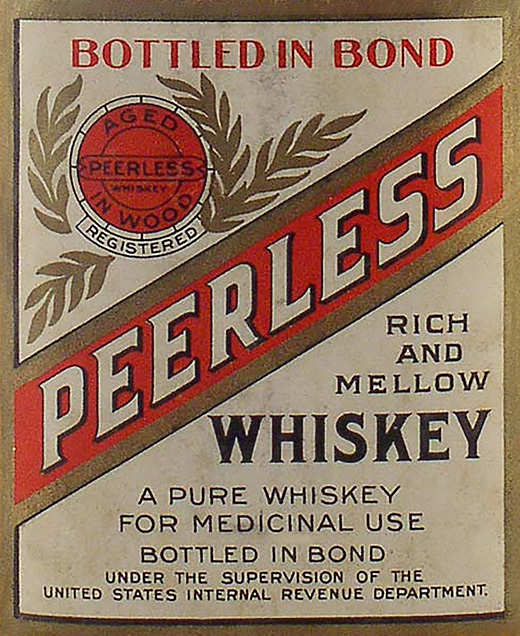 In 1923, the contents of the warehouses (some 6,000 barrels of whiskey) are transported by troops to another facility in Owensboro, KY.
For a period of time, Peerless product is of the few available by prescription for medicinal use. In the early throes of the Great Depression, Henry Kraver invests in and serves as president of the First National Bank of Henderson. Opening its doors in 1932, the bank operates under this same name until 1993. The newly minted Montgomery Ward department store does not survive and in 1934 Kraver retrofits the space to be an 800-seat movie house and vaudeville stage. 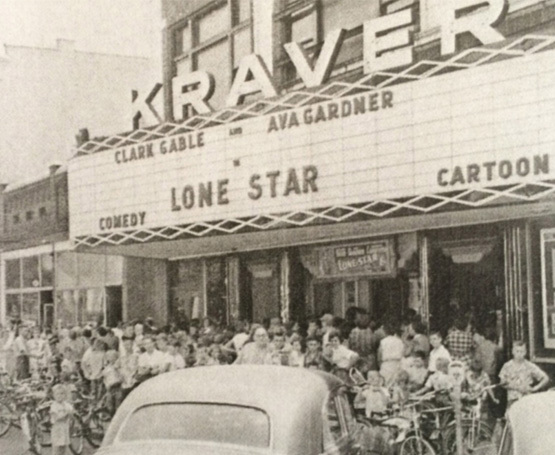 The Kraver Theater remains open from 1935 until 1976. An event happens in 1933 that would alter the course of the Peerless legacy. 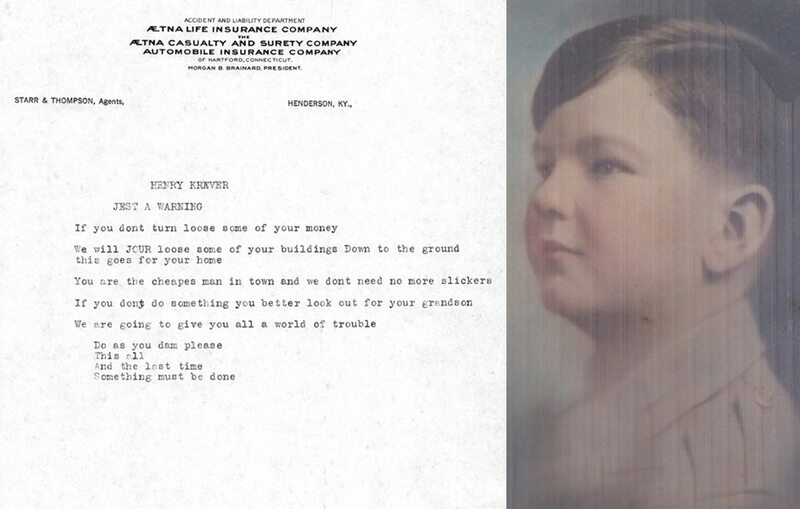 Local union workers break into a Henderson insurance agency and leave a threatening letter for Kraver stating, “You better look out for your grandson.” With this, the Kraver family sends him to military school. After many amazing life experiences of his own, this grandson grows up to be the father of Corky Taylor and grandfather of Carson Taylor. Corky and Carson, respectively the 4th and 5th generations, are now reviving the legendary Peerless namesake in Louisville, Kentucky. 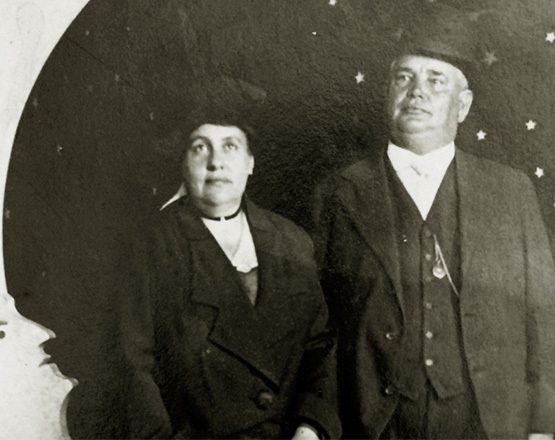 After a dedicated marriage, many business ventures, and a daughter together, Henry's wife Ida passes away in 1936. In October 1937, Kraver falls from the top of the grandiose stairs of the famous Palmer House Hotel in Chicago. This fall leaves him in need of surgery, and eventually, a leg amputation. Henry Kraver passes away from related complications in January 1938 at age 78. A building permit is issued and Corky and Carson Taylor begin construction on the new Peerless distillery. 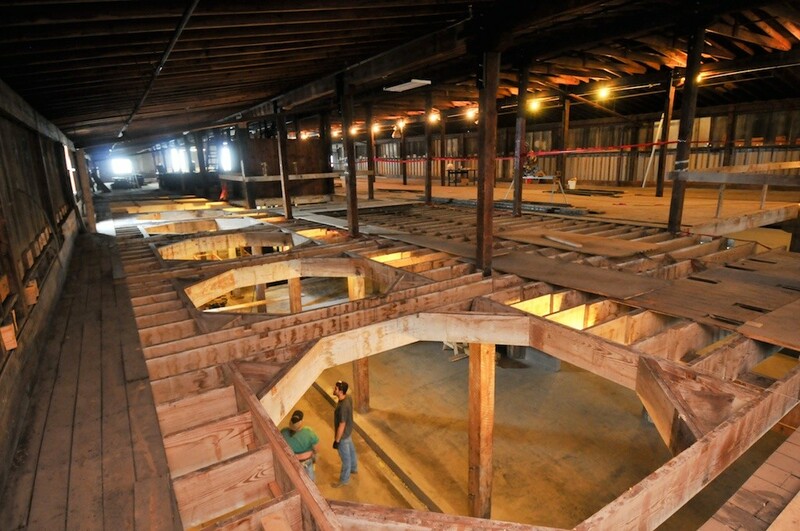 They restore the over 115-year-old building in downtown Louisville to become the remarkable distillery as it exists today. Construction is completed by March of 2015. 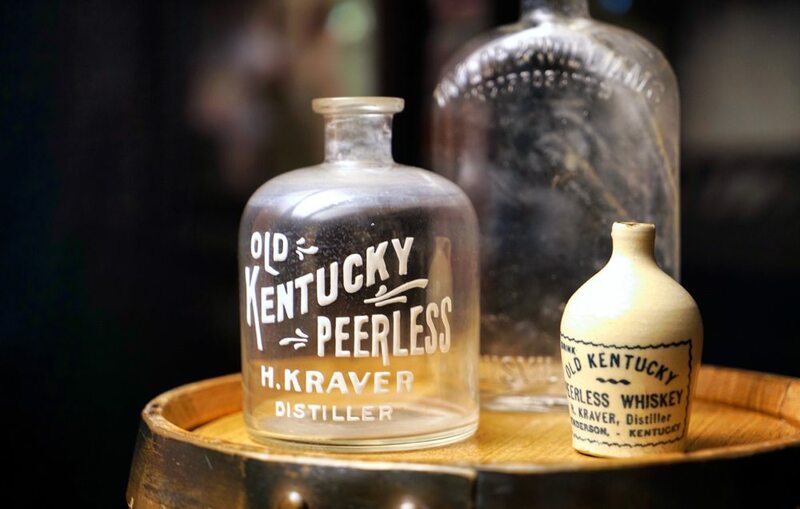 Peerless is able to obtain the original Kentucky Distilled Spirits Plant Number from the first Peerless Distillery in Henderson, Kentucky in the 1800’s. 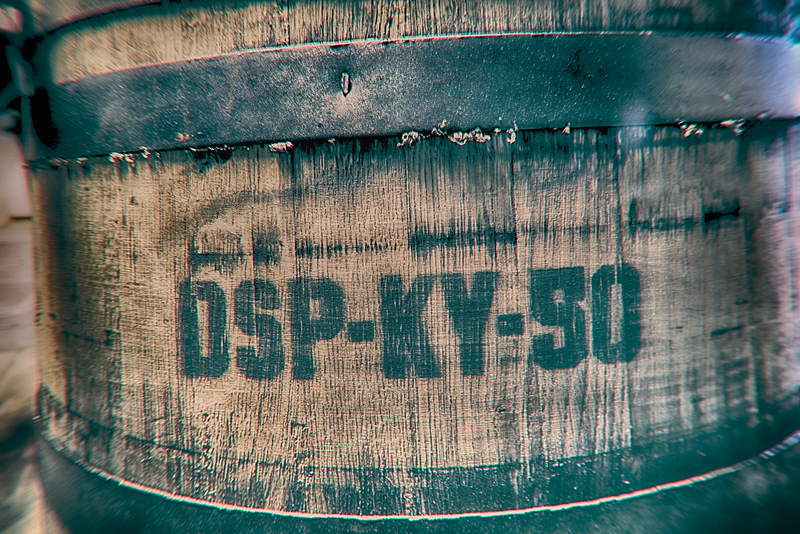 DSP-KY-50 represents the history behind the Peerless family and the legacy behind Peerless bourbon. Today, Distilled Spirits Numbers are established in the 20,000s. 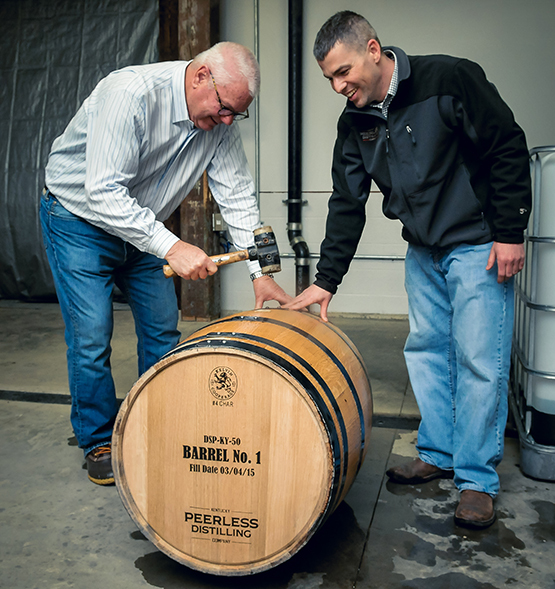 Barrel Number 1 is filled and for the first time since 1917, Peerless Whiskey is back in the barrel. Corky Taylor, Henry Kraver’s Great Grandson, has come out of retirement in Sarasota, Florida to revive the family brand by opening Kentucky Peerless Distilling Company in downtown Louisville with his son Carson Taylor, 5th Generation. The Taylor family is making Kentucky Straight Rye Whiskey and Bourbon. The legendary Peerless spirit continues and a new legacy is born. Peerless family and friends, including Mayor Greg Fisher, gather to celebrate the Peerless grand opening. Doors are officially open to the Peerless distillery and the public has the opportunity to participate, first-hand in the Peerless legacy. The significant distillery development is later recognized with a Cornerstone Award. 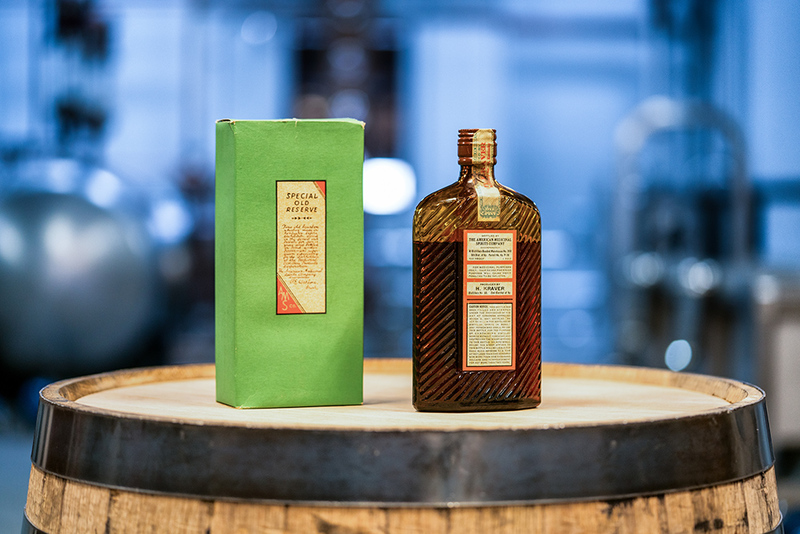 After a design that embodies Peerless spirits is complete, Carson Taylor travels to the bottle factory he has been working with for the past two years to give input on the execution. It took about a year working with the glass manufacturers to perfect the vision for the bottle. Being a part of the process was crucial to Carson, because this bottle will hold the first Peerless whiskey in 100 years. Carson Taylor discovers a bottle of Prohibition whiskey under the Henry Kraver name and surprises Corky with it for his birthday. The bottle will remain in the distillery, unopened. The first batch of Peerless Rye Whiskey is dumped and ready to be bottled as the first brown spirit in 100 years under the Peerless name. The public joins in celebration for the whiskey that is finally able to be sipped and savored by all. 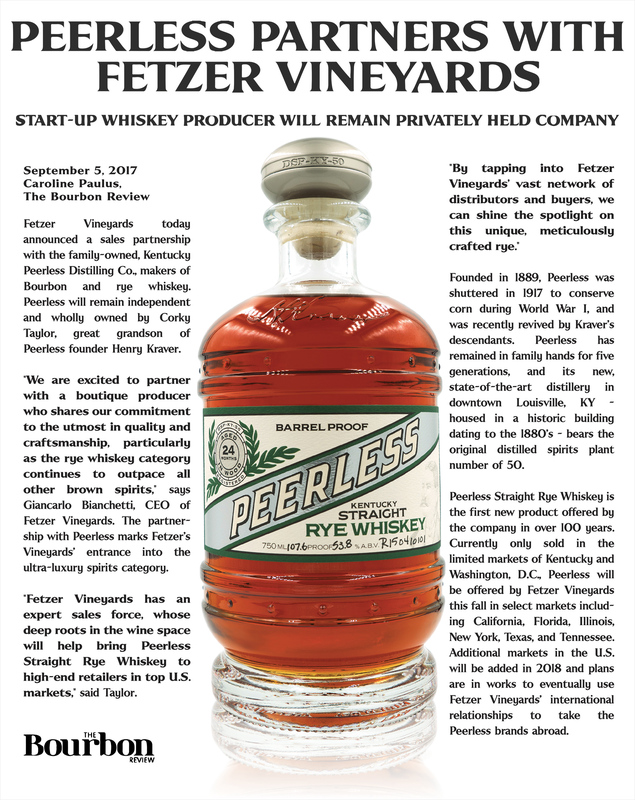 Peerless Kentucky Straight Rye Whiskey is now available in Kentucky and Washington, D.C.
Kentucky Peerless Distilling Co. forges partnership with Fetzer Vineyards. The collaboration signifies a new beginning for both companies and an alliance within each industry. Fetzer Vineyards’ deep roots in the wine space will carve out the ultra-luxurious path Peerless will take in the launch of its products from start to finish. Head distiller Caleb Kilburn hand selects three single barrels to be introduced on November 18, 2017. The single barrel selections complete the Peerless experience by separating the three flavor pillars combined to balance in each bottle. The three single barrels signify each of the three flavor pillars; Earth, Sweet, and Fruit. 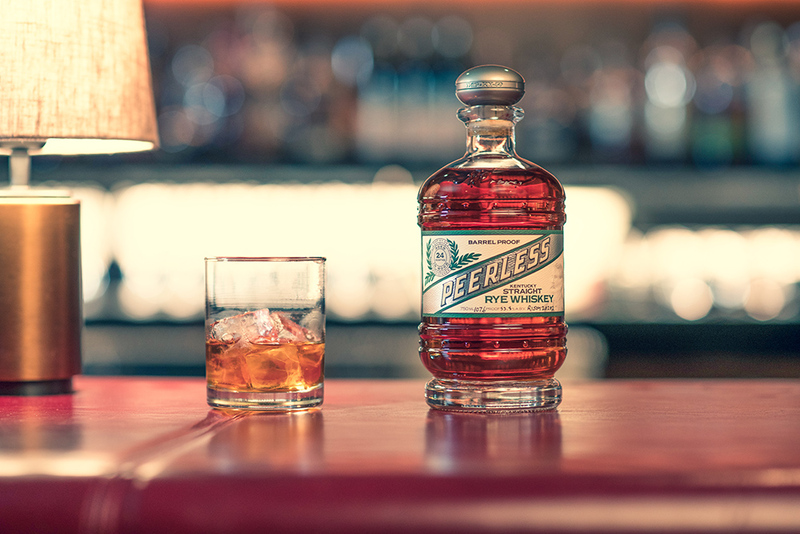 Peerless Kentucky Straight Rye Whiskey is named as one of the top 20 whiskies in the world by Whisky Advocate. 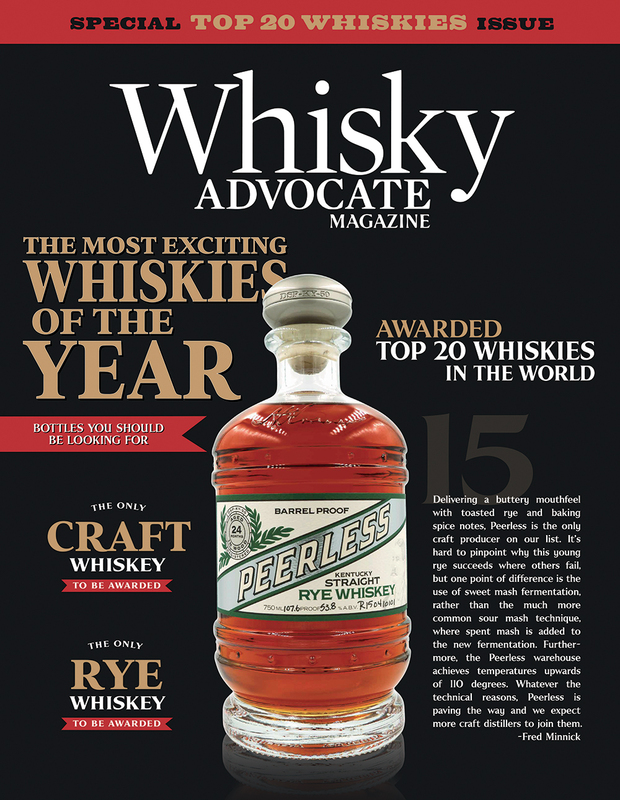 Peerless' Rye Whiskey is placed as No. 15 on the list of 20, and is the only product on the list from a craft distillery. 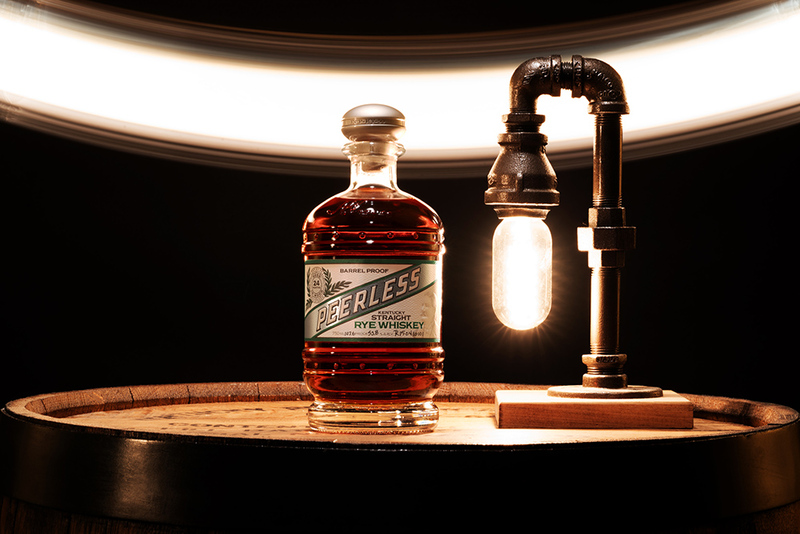 Peerless Kentucky Straight Rye Whiskey can currently be found in 44 states. Use the Whiskey Locator to find the nearest location to you. 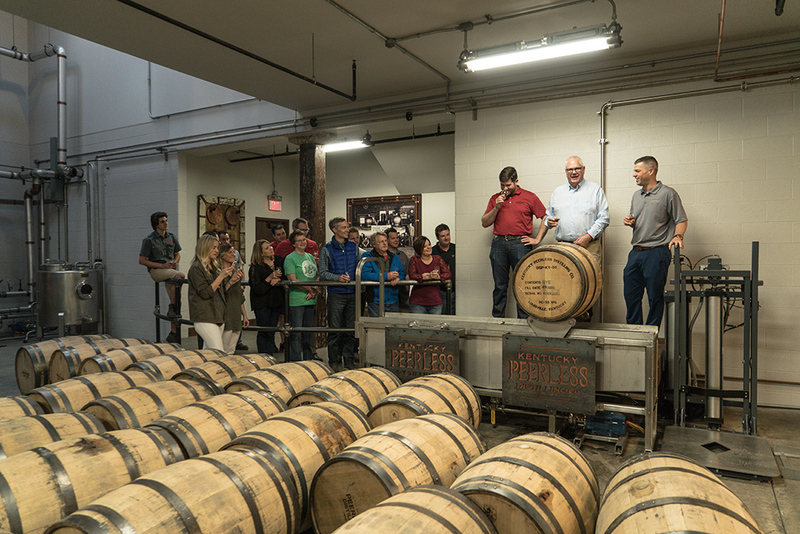 Peerless Bourbon will be bottled two years after in 2019, making it a four-year minimum bourbon. The distillery is open to the public Monday-Saturday where the Kraver family history is shared on tours every hour on the half-hour.